I have been on a mission this week. That mission was to finish a few unfinished backdrops that I had laying around. Being an amateur at photography, I am always looking for ways to improve my photos. You always see these beautiful images on these distressed tables, but it turns out, most of the time they are not actually tables! Mind blown right? I have made a few backdrops that I love, but wanted to make a few more just to have some choice in my life. These are super easy to make, and they cost me less than $15 to make 2 of them! Depending on the size area you prefer to shoot on, you can easily turn it into 4. 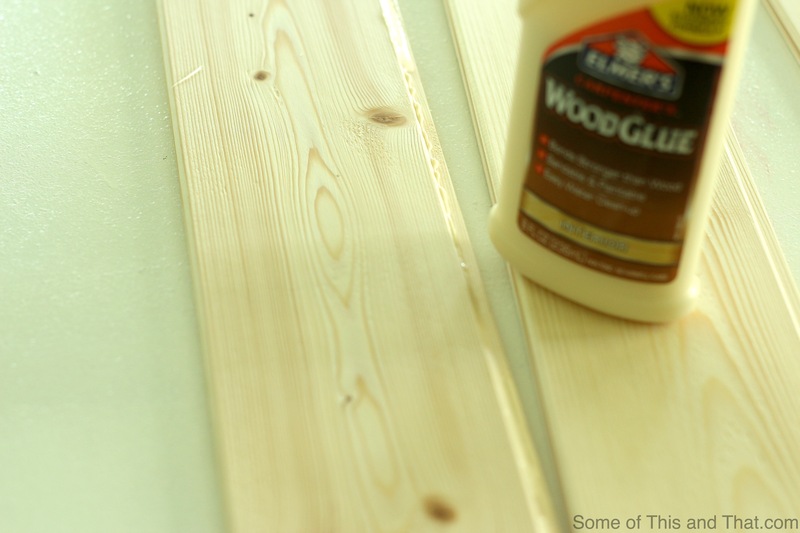 Plank Paneling – I picked this up at my local hardware store for around $11. It is tongue and groove, so it is easy to put together! Since the pack of wood I bought had a total of 12 slats, I decided to do 6 slats for each side. If you do not need as much space to shoot, you can easily cut them in half to make 4 backdrops. 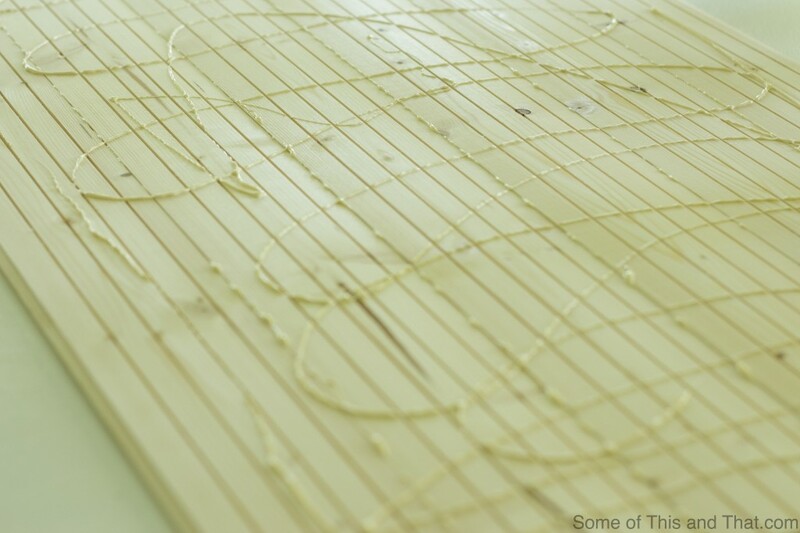 I started by gluing 6 of the slats together making sure to wipe off any excess glue that came through. Once they were glued together, I repeated the process with the other 6 slats. After they were dry, I applied a hefty amount of glue to the back side of one of the boards and glued the two boards together. After they were glued together, I used some clamps to secure them together to dry. I allowed them to dry overnight, but a few hours should be plenty of time. After all of that work, the fun part was about to start! I took a foam brush and applied a light coat of white paint. 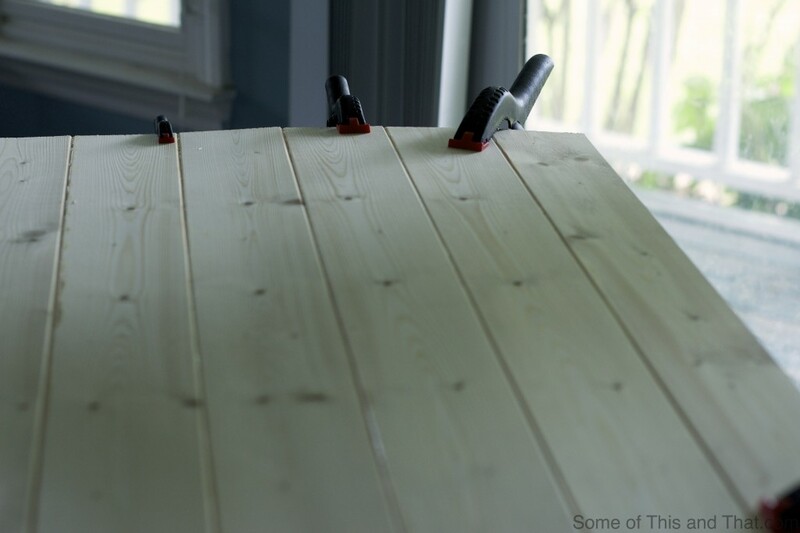 It does not have to be perfect, especially if you plan on doing some distressing to the wood! Allow paint to dry completely. 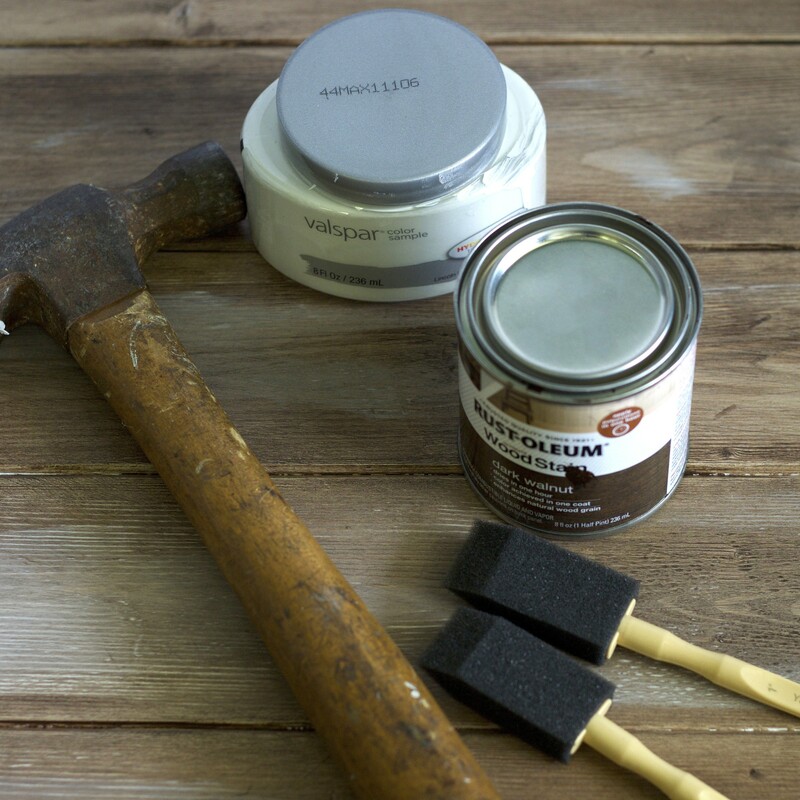 After the paint is dry, lightly sand over areas that you want the stain to show through the best. I also took a hammer to it at this point and gave it some dings to give it an older appearance. Once sanding is complete, be sure to clean off all of the dust! I than applied a light coat of stain and allowed it to dry. 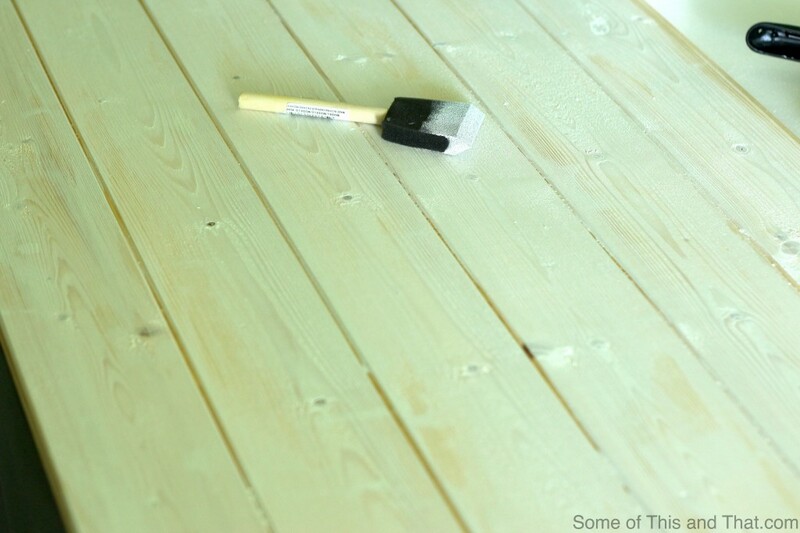 You can go wild at this point and add more stain if you want a darker look, or sand it and give it some more white. 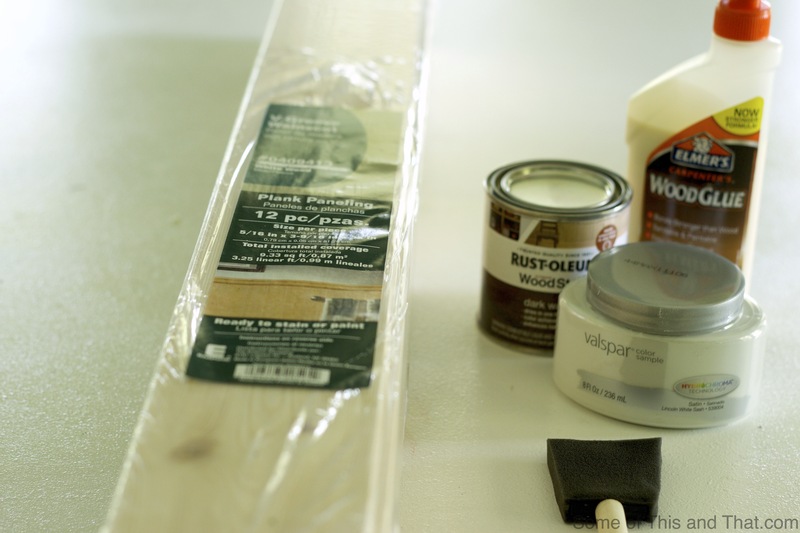 Once you are happy with the outcome, finish it off with a coat of clear coat of polyurethane. I am doing something pretty awesome to the other side of the board, but that is not ready yet so you will have to wait. 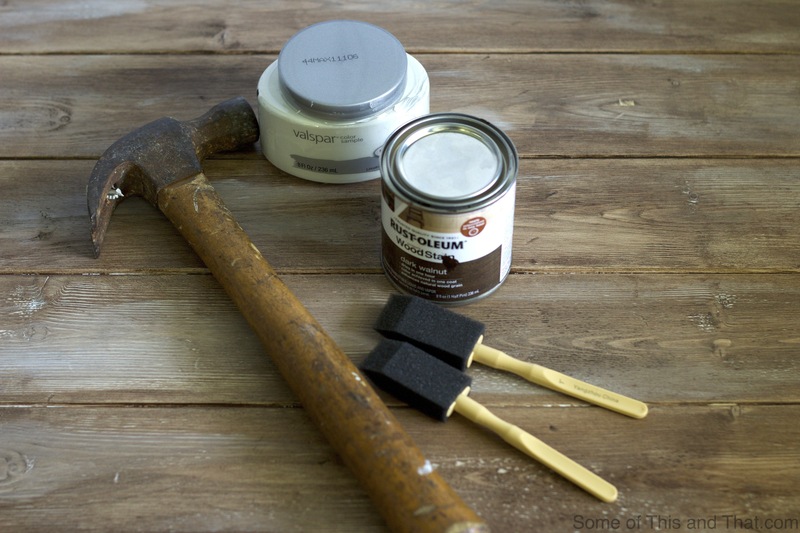 You can also do this to an old piece of furniture that needs some TLC. All in all, I am super happy with how this DIY Distressed Wood Backdrop turned out and can not wait to get started shooting on it.